The Mavericks are the premium models in our family of deck style tubes. Traditionally, there has been very little difference between deck style tubes. You can buy one from any inflatable maker and they’re basically all the same. That isÃ¢â‚¬Å¡ until now. 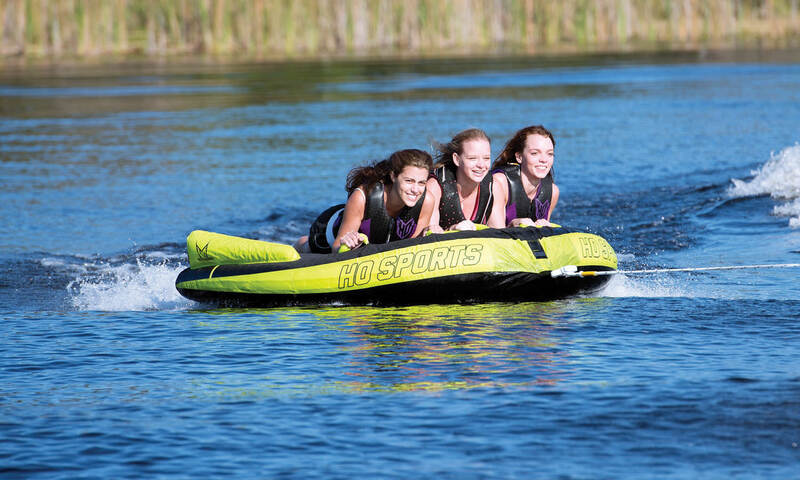 With the addition of HO Sports’ Shoftshell Technology, now you can tube all day without worrying about the abrasion or tube rash that you would get from a traditional nylon covered tube. This new technology is best thing to happen to tubes since the introduction of the nylon cover. 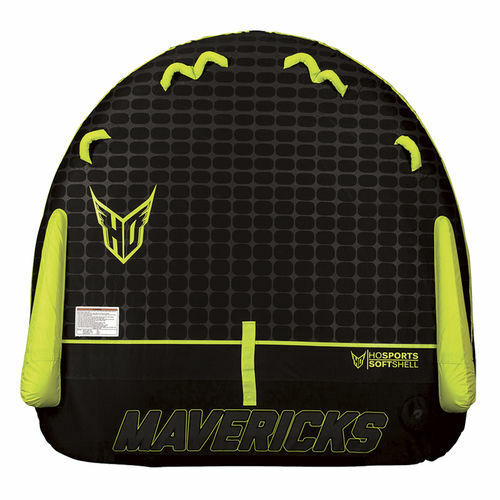 Additionally the Mavericks are loaded with features such as a D-shaped profile for more legroom, a tapered design that is thicker in front which makes the tube easier to board from the water and a 3 panel construction that puts the tow attachment at a lower position on the tube resulting in the tube being pulled in an upward direction even from a low tow point.